Based in the UK, we are an online bridal boutique where you can buy bridal jewellery and wedding accessories for brides and bridesmaids. 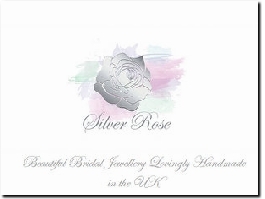 Specialising in Antique Sterling Silver & Diamond Jewellery. 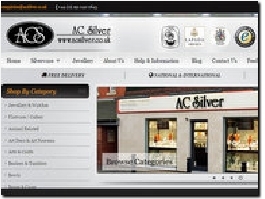 AC Silver stock a variety of fine antique, vintage and contemporary diamond and gemstone jewellery pieces. 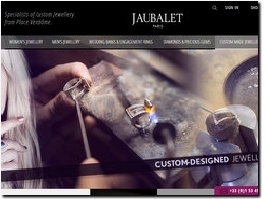 Jaubalet are specialists in custom made wedding and engagement rings, using traditional techniques to create a unique piece of jewelry. 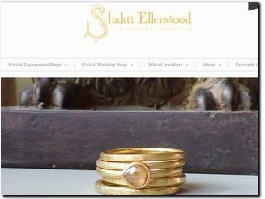 Shakti Ellenwood’s handcrafted ethical engagement and wedding rings encapsulate the pure romance of artisanal design. These exquisite rings offer a rare blend of purity and provenance, made from 18ct Fairtrade gold and conflict free diamonds. 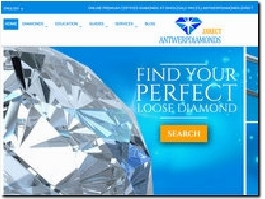 Buy your diamond from a trusted source, in the heart of the diamond industry. Guilty Necklaces, the new collection offering high quality ladies sterling silver necklaces with free delivery throughout the UK, the perfect wedding gift. 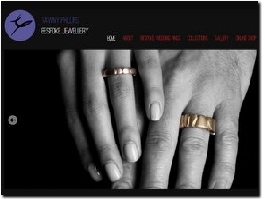 Wedding rings from designers from across the world including Italy, UK,Germany , Hong Kong . 9ct,18ct,22ct Platinum , Palladium , Titanium , Tungsten and Ceramic Rings from £100 - £5000. Gold fingerprint wedding & commitment rings, engraved with your own fingerprint, signature, a special date or a personal message. 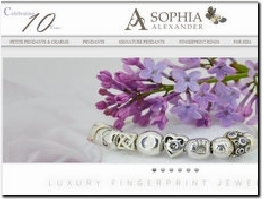 Personalised fingerprint jewellery & fingerprint rings. Also in platinum, palladium & titanium. I offer a relaxed bespoke wedding ring service from my studio in Bermondsey, close to Hatton Garden. 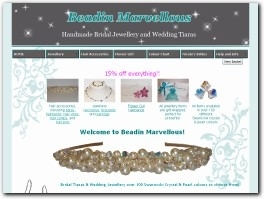 Browse my mens and womens handmade wedding rings, or let me create your rings from your ideas within your budget. 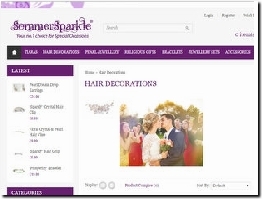 Aristocrat Tiaras specialises in creating stunning, high-quality Swarovski crystal bridal tiaras and exquisite jewellery such as necklaces & earrings for special occasions. All our items are designed and carefully handmade in Herefordshire UK. 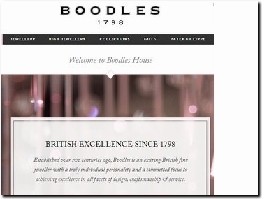 Founded in 1798, Boodles is Britain''s leading retailer of fine, bespoke diamond jewellery. Buy online or call us on +44(0)20 7493 3240 for our unique bespoke service. Look stunning in a gorgeous ladies necklace which will adorn your beauty. You can choose from a wide range of necklaces and bridal necklaces and jewellery at the online store of Aspens Jewellers. We use only the finest components, Swarovski crystal, freshwater pearls, precious and semi precious stones.Each piece is designed and crafted in our workrooms with the utmost attention to detail. 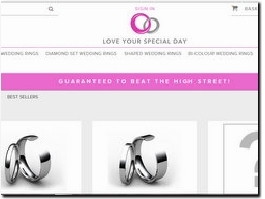 Guilty Bangles is a leading UK online retailer of sterling silver bangles for women with a whole section dedicated to wedding jewellery. From chic cuffs to silver torque bangles, there is a huge range to choose from on Guilty Bangles. Beautiful Vintage & Antique Jewellery from the Art Deco, Art Nouveau, Victorian, Georgian & Edwardian periods. £10 off your 1st order + FREE Next Day delivery. Enter code NCD10 at checkout. 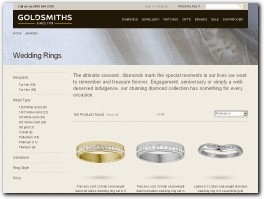 Goldsmiths is a jewellers with more than 230 years of tradition and experience and showrooms across the UK. 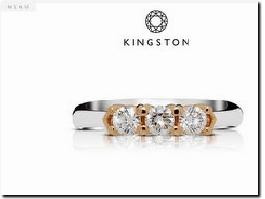 A wide range of traditional and contemporary wedding rings are currently available to view and purchase online. 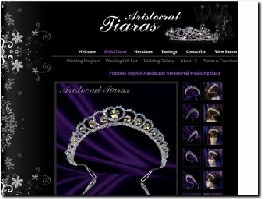 Stunning Bridal Tiaras, Jewellery & Wedding Accessories custom made with over 100 different Swarovski crystals and pearls. Smaller designs available for Flower Girls. Jewellery sets for Bridesmaid Gifts. All jewelllery are gift wrapped. We design and create for the discerning client, beautiful Handmade Vintage Style Tiaras, made with Swarovski Xillion Crystal. Pocket watches add a style, flair, and unique aspect to just about any outfit – and with our elegant variety of classic, timeless watches to choose from, you’re sure to find your next favourite accessory. 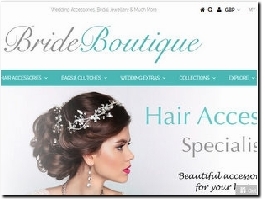 Want to wear a unique design wedding hair piece on your wedding day ? Or are you looking for that perfect designer wedding accessory ? We have all the accessories a bride could dream of to compliment their wedding gown. Splendor Diamonds are a new breed of online jewellers specialising in engagement rings, wedding bands, eternity rings, bespoke, coloured diamonds, gemstones, diamonds & bridal jewellery. Shining Diamonds is a renowned brand in diamond jewellery and is known for providing top quality diamonds at affordable prices. All our jewellery is Made in Britain. Charm Bracelets for bridesmaids gifts. Charm bracelets or necklaces make beautiful gifts for Bridesmaids. Choose from our extensive range of silver and gold charms, bracelets and necklaces. 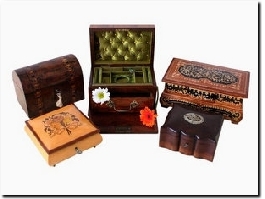 I will assemble the jewellery and send it beautifully boxed ready to give to your bridesmaids. Beautiful range of contemporary, ethically produced gold & silver engagement, wedding rings, & bridal jewellery. Handmade to order using recycled metals, fairtrade gems & non-conflict recycled diamonds to suit your individual specifications & budget. 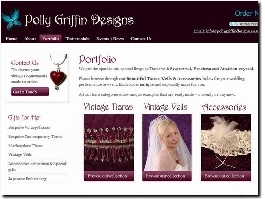 Jewellery, flowers and hair accessories primarily using zips. The business sells hand made, art jewellery & unique accessories that make perfect gifts and are ideal for any occasion. 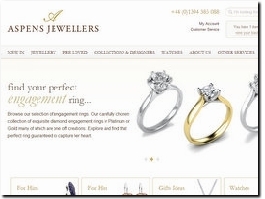 The product range includes a choice of gemstones, metals and jeweller techniques.